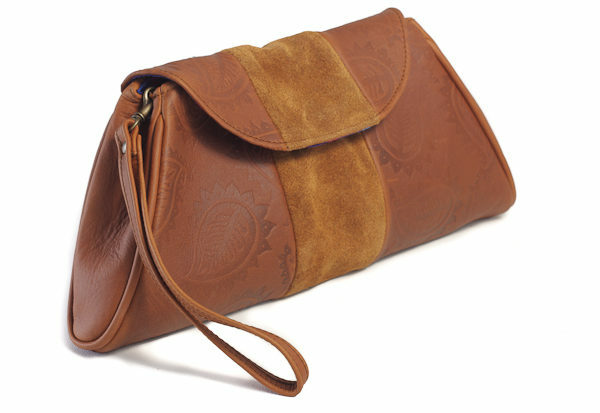 Vintage style clutch with suede panel. Features an internal zip up pocket and detachable wrist strap. 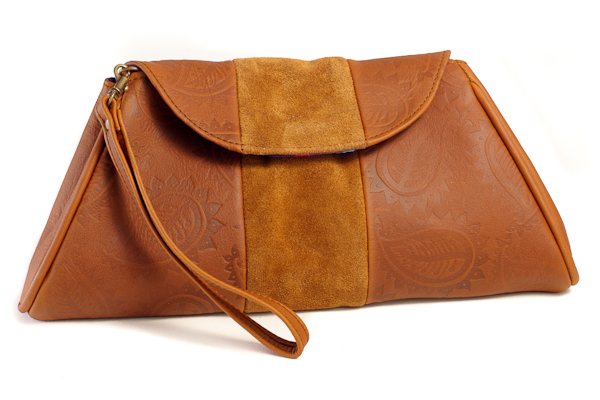 Made from beautifully soft, chrome free, vegetable tanned leather. Features an internal zip up pocket.